In Alaska, perhaps more than most other places in America, people still live with attention to the Earth’s rhythms—the in-and-out tides; the darkening days into winter; the seasons marked by geese, salmon, berries, storytelling. Our indigenous people, especially, know about the gifts that come from land and water and the cycles that govern them. They have long traditions of showing respect. Barry Lopez once said that you don’t have to be a people to learn from them. I’m not native to my place, but I long ago decided that to live in my chosen place I needed to learn as much as I could from the people who belonged to it and who had known, generationally, how to live as a part—not apart—from it. The particular indigenous people of my region in Alaska are Dena’ina Athabascans, the only members of the large Athabascan family to live at tidewater and to have developed a marine-based culture. I was fascinated to learn—largely from books—how adaptive they had been in transferring inland skills to coastal ones and in taking what was useful to them from Eskimo, Russian, and American ways of life they encountered over time. I say that I learned from books because that’s the culture I come from—one that turns to books, to anthropologists and other “experts,” for the truth of things. One truth is that, in my time, Dena’ina people and their cultural expressions were nearly invisible. So much had been lost, first in disease epidemics brought by white people and then in the general collapse as Western social and economic systems overpowered those of the first people. What were never lost, though, were values. Today Dena’ina values governing how to live have come out of the shadows with fresh relevance. We find them in restored pride as well as fresh attention to the language, place names, and stories of a land now shared with so many newcomers. And here I’m getting to my point: the original people of my place lived closely with the Earth and knew what it asked of them. The relationship—one of reliance and respect—comes through in the great artistry of their tools and clothing, all of which derived from local materials. The Dena’ina wore decorative bone tubes around their necks, for drinking water when traveling. They split gull feathers to make snares. They designed and built snowshoes, fish traps, and skin boats. They lived in homes dug into the earth—the rectangular pits still evident along streams and around lakes. They named every kind of snow, every part of a fish in a richly nuanced language. They named Spawning Lake, Ridge Where We Cry, Where Antlers Are Gathered. Dena’ina Peter Kalifornsky, a self-taught writer and scholar who died in 1993, left behind many written sukdu, or traditional Dena’ina stories. These stories, told by elders to young people and thus transmitted through generations, instructed on proper living. A core value among them is respect for all beings, all creatures, all everything with whom or which people share the Earth. All things, in the Dena’ina worldview, have spirits. All things—living and otherwise—are worthy as themselves. In one lesson story told by Kalifornsky, a man who helps a mouse over a windfall is later helped by that mouse to feed his starving family. In another story, about beliefs, Kalifornsky told how a person finding a beach agate would rub a smell on it and wrap it in down feathers; this care would assure good fortune. 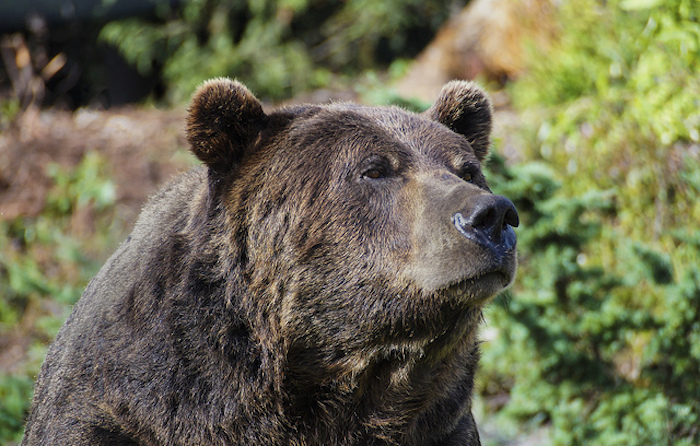 Yet another Kalifornsky story tells of three hunters who attempt to kill a brown bear. The first loses his life to the bear because he lacks skill, the second also falls to the bear because he acts without thought, and the third succeeds in his kill because he’s skillful, acts thoughtfully, and speaks with respect and humility to the bear, which then respects him in turn and allows itself to be killed. My understanding of Dena’ina life and values is admittedly imperfect, but what I know is that the Dena’ina lived successfully for a very long time in a harsh land that daily challenged their survival. Their success depended on skill, thoughtfulness, and respect—and on the transmittal of those values. Every child learned about reciprocity. Treat the other inhabitants of our Earth well, and goodwill will be returned to you. Wind, water, the bones of the salmon you just ate—all these need your attention and respect. You put the bones of the salmon back into the water so that it might “put on its clothes again” and return to feed you the following summer. But throw bones on the ground and trample them, and you will end up hungry. Actions have consequences. That salmon don’t literally reincarnate from old bones isn’t the point. You take care of what takes care of you. There’s danger, of course, in romanticizing indigenous cultures or in appropriating their symbols or beliefs. And, as we know, the rituals of a single society can no longer protect us from global threats that may originate at great distance from that society. But I’ll argue that, in this time when so many of us are estranged from the land and waters that support us, we would be well advised to turn back to older wisdom and what it can teach us. The Earth needs us to remember the old ways of life and the behaviors and stories that sustained it. The Earth needs some quiet listening, some remembering of the time when people and animals talked together. Most of all, the Earth needs stories. Stories, in whatever forms they might take in the twenty-first century, are as essential as they were in purely oral cultures for sharing what we know. In our information age, it’s not enough to know about the carbon cycle, solar technologies, and the rocks on Mars—although we need to know these things. We need the stories that tell ourselves about values, about how we might live with more skill, thought, and respect for all. Without such stories, we’ll be as finished as loser bear hunters. Peter Kalifornsky, A Denai’ina Legacy, K’tlegh’I Sukdu: The Collected Writings of Peter Kalifornsky, ed. James Kari and Alan Boraas (Fairbanks, AK: Native Language Center, 1991). Suzi Jones, James A. Fall, and Aaron Leggett, eds., Dena’inaq’ Huch’ulyeshi: The Dena’ina Way of Living (Fairbanks: University of Alaska Press in association with the Anchorage Museum, 2013).